Every residence building comes equipped with laundry rooms. All buildings have Front Loading washer and dryers. 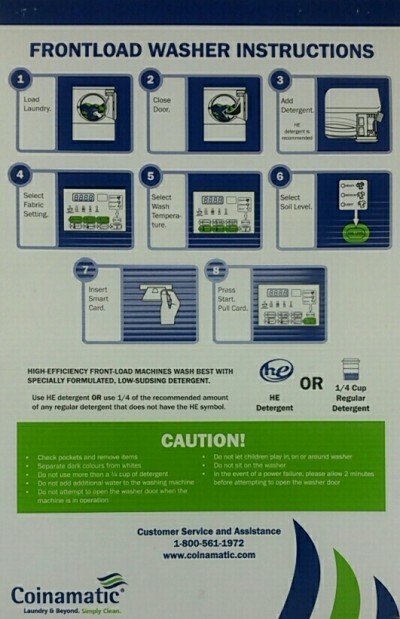 Front loading machines typically require High Efficiency laundry detergent. There are instructions in each laundry room about how to use the machines, the proper amount of soap, etc. Click here for a complete list of instructions from Campus Card, Campus Card Laundry Reader Operations. A picture of additional instructions, provided by Coinamatic, is at the bottom of this page. You require your Campus Card to pay for and activate a machine. Please load Convenience Dollars to your Campus Card in order to be able to do laundry. The cost to wash is $1.65 per load and $1.65 per load to dry. Please ensure that you put one load in the dryer and empty the lint screen when you are done. To find out the location of your laundry room, please click here and check “Building Amenities” under your specific building assignment. eLaundry is an online system offered by the Campus Card Office to all residence students that allows you to keep track of the laundry facilities at Carleton. Please click here for information about eLaundry Service. For maintenance issues on the laundry machines, please submit an online Work Order form through eRezLife. For any issues that you would like to be reviewed for a refund due to a machine not working, please complete the Laundry Error Refund Application form.